In 1983 Workers Power produced 4 documents on the History of the Fourth International. This is my reply to the second document. The Fourth International during the war years of 1940-1945 prepared for Trotsky’s prognosis on the future of Imperialism and the tasks of the Fourth International. WP maintains that the struggle inside the Fourth International that wars and revolutions were Imminent was correct. WP have argued that the FI was not a continuity during this period and neither tendency represented a serious left opposition and therefore does not constitute a continuity of Trotskyism. It is true to say that Grandizo Mundis was correct in 1941 to raise criticisms of the SWP, the American section, about its Leninist defeatism and during the Minneapolis trial the SWP took the wrong decision. What WP fails to appreciate is the objective situation for Trotskyism. It had come through the war very much weakened. Stalinism was much stronger and this period represented a growth of Stalinism particularly the victory in China and the satellite countries of Eastern Europe. The Trotskyist movement was penetrated by Stalinist Agents in its French, German, American and British sections. The Soblen brothers were very active in the German Section as well as Kurt Weill and Etienne the agent in France who was responsible for Leon Sedov’s death. He came to the United States and was unmasked as Mark Zbrowoski Stalin’s foremost agent inside the Trotskyist movement. Much of this was documented by Georges Veereken the GPU in the Trotskyist Movement and the International Committees investigation into the role of the GPU and their agencies inside the movement. This left the leadership of the Trotskyist movement struggling under very difficult objective situation. Much of its cadre had been killed during the war and the leadership of Michel Pablo, Germain, Lambert and Cannon had to struggle to overcome these very difficult problems. WP which did not emerge until 1975 can be very clever now after the event but to attempt to criticise the movement from the armchair is very easy. The split with Shachtman in the SWP had left 40% of its cadre in the Workers Party which ended up justifying Stalinism. The major theoretical problem for Trotskyists would be their attitude to Stalinism which was a very powerful movement. The leadership of Pablo and Germain were unable to confront Stalinism and in the end they adapted to it and argued that the struggle for Trotskyism was over. Pablo entered the Ben Bella Government and Germain has remained an apologist for Stalinism ever since particularly his role during the 1968 Belgian general strike. In the British Section there were two groups who were arguing for entry into the Labour party, the RCP and the WIL. Trotsky had argued in the French turn for small Trotskyist groups to enter Social Democratic organisations ‘Sui Generis’. The RCP which was led by Jock Haston and Ted Grant initially opposed entry whereas Healy in the WIL received permission from the International Secretariat to enter the Labour Party in 1947, which they. There was no Trotskyist group as such and they were just referred to as ‘The Club’. WP accuses the IKD, the German section: “The German section veered in a Menshevik direction”. . Of course it would adopt this position Stalinist agents were in control of the organisation and created splits and factional activity. While else would they adopt these positions? The same situation of factional activity was taking place in both the French sections. Sectarianism was rife in these sections. They were small propaganda groups and until they learnt how to develop and grow small sectarian ideas would predominate. There was opposition to the line adopted by the FI under Pablo and Germain’s leadership. Their adaption to Stalinism, popular frontism meant they were unable to provide a thoroughgoing Trotskyist analysis it was left to oppositionists inside the RCP mainly Grant and Haston and the faction around Morrow and Goldman to provide a critical assessment of the period the FI was in. Too often the Morrow Goldman opposition was perceived as a right wing opposition and not given any credence, but Peter Jenkins has given quite a good assessment of the Morrow Goldman conflict. WP does not give any credence to their arguments and is dismissed in a few sentences. WP makes comment on the differences in the British sections over entry into the Labour Party. It is true to say that Pablo and Cannon favoured the leadership of Healy who had entered the Labour Party on a principled basis. They did not wreck the RCP perspectives. The RCP leadership under Grant and Haston was indecisive and only later agreed with Healy that they should enter the Labour Party. Grant was to provide the left cover for the right wing in the Labour Party and would provide a willing servant when assisting the right wing in expelling Healy, Hunter and Shaw in 1959. A crisis would develop amongst the Pablo/Germain leadership who ordered the sections to enter Communist Parties as they impressionistically perceived the strength of Social Democracy. Healy in the British section went along when Pablo expelled the minority in the French section. Healy later regretted this action. “Healy later conceded that it was a serious mistake to join the SWP in endorsing these expulsions” . In 1948 there was a split in the world communist movement between Stalin and Tito, who was expelled from the Coniform. The only serious tendency at the time to make a valid criticism of WP was the International Spartacist Tendency when a document written by Jan Norden highlighted the whole debate around the FI’s position on Yugoslavia which was to argue for liquidation into the Yugoslav Communist Party. Healy and Cannon went along with this and the only criticism came from Grant and Haston of the British RCP. As Norden argues Pablo completely capitulated to Stalinism over Yugoslavia, the argument being that the Yugoslavia CP were now unashamed Trotskyists which of course was wrong. In 1951 Natalia Trotsky Trotsky’s widow broke all her ties with the FI over Yugoslavia. “Your entire press is now devoted to an inexcusable idealisation of the Titoist bureaucracy” . Norden has correctly identified the Titoist Bureaucracy. WP is correct to say “Pablo embarked upon a tactical course which involved the complete liquidation of the Trotskyist Programme”. . According to Norden “Yugoslavia CP had returned to Leninism”. . In the summer of 1948 the IEC received a letter from Haston of the British RCP that the FI was disorientated by Yugoslavia. In fact the IEC letter to the YCP “Lends weight that Tito is an unconscious Trotskyist”. . There was no opposition from Cannon or Healy; they went along with this position in 1948. It was only the split in 1953 that would alter the relationship in the world Trotskyist Movement. In 1949 a document by Bill Hunter from the RCP criticising the position of Pablo on Yugoslavia was defeated at the 1948 World congress. Mandel said that Yugoslavia was a workers state but the rest were not. Pablo advocated entry work in Stalinist parties Sui Generis and concealing their Trotskyist Identities. Norden quotes Mandel at the time who said that all the buffer states were capitalist. As Pablo and Germain plunged forward into open liquidation a section of the FI launched a counter attack. Cannon of the SWP, Healy of the Club and Lambert of the PCI launched the Open Letter of 1953 which opposed liquidation by the majority of the IEC. WP is theoretically wrong on the struggle that the International Committee took. It should be critically supported as an attempt to defend the heritage of Trotskyism against the liquidationism of Pablo and his supporters, whilst pointing to its weaknesses and inadequacies. Primarily these consisted in a refusal to assess their own role in the post war degeneration and therefore conduct a self-criticism which would have helped to ward off any repeat of those errors. A failure to do that saw all three currents of the IC revert to some version of Pablo’s errors. 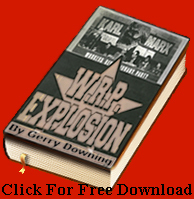 In 1962 the US SWP reunified with Germain on a Pabloite assessment of Cuba, the French OCI/PCI adopted a deep entry tactic such that they continually hid their own political identity from the public in front organisations and Healy’s WRP notoriously capitulated to the Arab regimes in the Middle East and North Africa, abandoning the perspective of building Trotskyist parties in these countries because Gaddafi. Arafat, Hussein and outrageously even the Ayatollahs Khomeini were objectively advancing the “World Revolution” with no need of Trotskyism at all apart from a few friendly words of advice. We appreciate that the struggle should have taken place earlier and that the struggle of Bleibtreu-Favre of the Parti Communiste Internationaliste (PCI) in his document Where is Pablo Going? in June 1951 should have been supported and it was wrong to split premature with the Open Letter in 1953 without a struggle within the organisation to attempt to win the other sections. However Healy did attempt to get the struggle taken into the organisation and deepen the split but Cannon refused, preferring to split without that internal struggle. But on the other hand the struggle was not just a cynical manoeuvre, at least not on the part of the majority of the participants. It was not just a case of two centrist groups fighting it out for the spoils. A genuine struggle took place which radicalised a whole generation. The comment that “The split of 1953 therefore, was both too late and too early”  dismisses this struggle entirely and is therefore wrong. The Workers Power document accuses Healy and his group of being Bevanite centrists or left reformists. We need to establish facts before accusations are flung around left and right. As Trotskyists it was the right perspective to enter the Labour Party and carry out sustained deep entry work. In 1948 where there was a strong working class and Trotsky had always argued this position on entry work with relation to the SFIO in France. A paper called the Socialist Outlook was published and printed with support from trade union leaders and Bevanities including Jack Stanley, Frank Allaun, Bessie Braddock and others. These were left reformists and supporters of Aneurin Bevan and an organisation was set up called the Socialist Fellowship. It was necessary at this time to work with these left reformists and centrists by the small band of Trotskyists; it would bring them closer to section of militant workers who were moving leftwards. “By the early 1950s it had almost 100 delegates to the Labour party Conference, representing 53 constituency parties the objective was to build up the membership of the Group as the foundation for a revolutionary organisation” . So although Healy correctly defended the North in the Korean War, he remained silent on the Stalinist character of the regime, while the Chinese Communist Party received uncritical acclaim in Socialist Outlook. Even the Soviet bureaucracy was treated tenderly, Stalin’s support for anti-imperialist movements being described editorially as ‘neither as consistent nor as socialist as we would like it to be’! It was only after this scandalous position had opened Healy to attack inside the Trotskyist movement that factional considerations forced him to take a clear stand against Soviet Stalinism. With the outbreak of the Korean War, the opportunist set-up which Healy had stitched together in the Labour Party came apart at the seams, when Smith, Brockway and Bessie Braddock walked out of the Socialist Fellowship in protest at its condemnation of the United Nations. Nor had the Club itself registered any numerical gains, Club members Harry Ratner and Bob Shaw made a significant impact with militant speeches demanding workers’ control of nationalised industries and denouncing the Labour government’s pro-imperialist line on Korea. But having buried its real politics in order to acquire influence within the Labour left, Healy’s Club understandably found considerable difficulty in winning recruits to Trotskyism. In the adverse political conditions of the late 1940s, the RCP too had stagnated. Not only had the Labour Party retained the political allegiance of the mass of the working class, but after its ‘left’ turn in late 1947 the Communist Party once more became a pole of attraction for those industrial militants who had been the RCP’s main source of recruitment. Realistically, the Trotskyists’ task was now reduced to that of maintaining a ‘semi-agitational propaganda group’ in order to take advantage of future political opportunities, as a group of rank-and-file RCPers argued. In July 1949 the RCP formally dissolved itself, and its members joined the Labour Party. There, by the edict of the IS, they were placed under the leadership of Healy, on the absurd grounds that his utterly false political perspectives had been proved correct. However, the former members of the RCP majority far outnumbered Healy’s 80 or so supporters, Although Healy was in the Minority he was given permission by the IEC of the FI “ it was dissolved in June 1949 and Healy became the secretary of the reunified RCP. At the 1949 Labour Party conference, Healy made a stirring speech in defence of ‘a democratic principle for which men and women have fought and died in this Movement: the right to speak, to differ, and to have their opinions democratically discussed without fear of expulsion and fear of threats’. But these words would have appeared somewhat ironic to the victims of the purge which Healy now proceeded to carry out within the Club. In February 1950 Haston resigned. You cannot remove people and defeat their ideas by bureaucratic expulsion’, Healy had told the 1949 Labour Party conference. In April 1951 the National Executive Committee decided to proscribe the Socialist Fellowship. In any case, Healy soon had bigger fish to fry. The proscription of the Socialist Fellowship was followed by Aneurin Bevan’s resignation from the Labour government in protest at the decision tocut Health Service expenditure in order to finance a massive armaments programme. After discontent had been further fuelled by Labour’s defeat at the 1951 general election, Bevan became the focus for rank-and-file opposition to the Labour Party leadership and its right wing policies. In contrast to the mere front organisation which the Socialist Fellowship had become, Bevanism was a genuine left wing movement, Pablo wrote, ‘by penetrating it and helping it from the inside to develop to its last resources and consequences’, thereby accelerating its ‘left centrist ripening’. Healy eagerly seized on the opportunist implications of this perspective, Thus Bevan’s speech to the 1952 Labour Party conference was hailed by Socialist Outlook with the headline ‘Bevan Gives the Lead that Workers Want’. Bevan’s election to the NEC on a record vote, and the replacement of right wingers Dalton and Morrison by the Bevanites Harold Wilson and Richard Crossman, the front page editorial stated, was ‘the clearest indication’ that the rank and file wanted socialism. A month later, next to a message of support from Michael Foot on behalf of Tribune, the paper carried the headline ‘Aneurin Bevan Demands a Real Socialist Policy’. Yet, by Socialist Outlook’s own admission, Bevan had done no more than defend political positions which were commonplace in the Labour Party before 1945, and he had made it plain that he had no desire to wage a serious struggle against the rightwing. The chief conditions for success, as enumerated by Healy, were: ‘1. complete reliance on the organised power of the working class. 2. No confidence in Britain’s capitalists or America’s imperialists. 3. Finish without delay the job of nationalising, democratising, and reorganising industry along socialist lines. 4. Put into effect a Socialist and democratic foreign policy.’ This programme, which was to be implemented by a future Labour government, was, Healy wrote, ‘the only road to workers’ power and Socialism in Great Britain’. After all, the FI leadership did take the view that, in addition to Socialist Outlook, the British section should publish ‘a theoretical organ, openly defending revolutionary Marxism’ only to have their repeated requests to this effect ignored by Healy. Indeed, Pablo himself would subsequently criticise Healy’s adaptation to Bevanism as an ‘opportunist application’ of the entry tactic! [Excerpt from Bob Pitts The rise and Fall of Gerry Healy]. As Cannon wrote in the 1953 Open Letter “The lines of cleavage between Pablo’s revisionism and orthodox Trotskyism are so deep that no compromise is possible either politically or organisationally”. .
Healy had to fight a group of Pabloite supporters in Socialist Outlook. They were led by John Lawrence, Pablo’s man in Britain, he would eventually junk Trotskyism and join the Stalinists “The same day he (Lawrence) joined hands with Labour Party centrists and attacked the leadership of the group”. .
As Norden has observed the method of Workers Power is to challenge and reject the Transitional Programme and question the need of a proletarian party or leadership. “Today it would be wrong simply to repeat that all contemporary crises are reduced to a crisis of Leadership”  He quotes from Trotsky in the Challenge of the Left Opposition “Without a party apart from a party over the head of a party, or with a substitute for a party the proletarian revolution cannot conquer”. . I have answered the questions that WP has posed around the need for a party and a disciplined fight to establish orthodox Trotskyism against Pabloite Revisionism. The 1953 split was a principled defence of Trotskyism against liquidation and revisionism and was therefore a definite continuity of Trotskyism. The task for Trotskyists is for a principled reunification of the worldwide Trotskyist movement and this is the role that the Liaison Committee for the Fourth International has set itself. The International Marxist Tendency around Alan Woods and Rob Sewell ‘The Grant tradition’ has written about this period. I will answer this in another article. 11) Feldman.P Lotz.C. Gerry Healy A Revolutionary Life. Lupus Books. Pg.216.